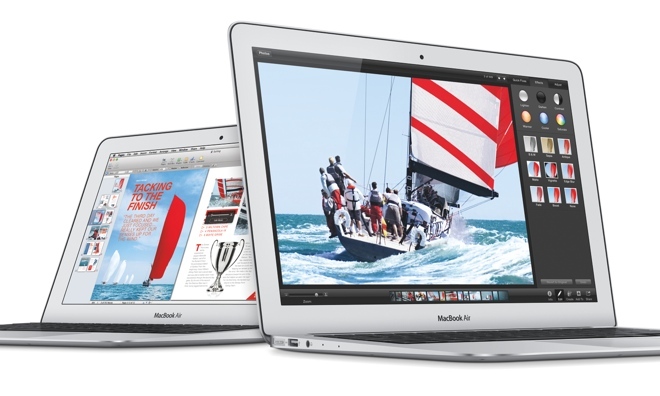 Apple’s Newest Frontier – A New Line Of Haswell-Powered Macbook Pros? Aug 12 • Technology • 1396 Views • Comments Off on Apple’s Newest Frontier – A New Line Of Haswell-Powered Macbook Pros? If rumors prove to be true, Apple’s MacBook Pro line will be given the Haswell treatment this year. According to the Japanese tech blog Macotakara, the China Times newspaper, and a variety of supply chain sources, there is a huge possibility that this next generation of MacBook Pros will be powered by Intel Haswell chips, an update that will result into faster and more battery-efficient machines. The expected release date is somewhere around October, just ahead of the holiday season. For both Apple fans and sellers of Apple accessories like Macfixit Australia and MacConection, this news is definitely something to look forward to. The power of Haswell chipsets has already been demonstrated this June, when Apple announced the release of a new generation of Haswell-powered MacBook Airs during the company’s Worldwide Developers Conference. Feedback for these devices were overwhelmingly positive; the updated processor made the notebooks more energy-efficient, allowing them to run for almost a whole day on a single charge. This is nearly double the battery lifespan that can be found on older models. As an added bonus, the Intel Haswell chipset can also support better integrated graphics, which could ultimately pave the way for a 4K resolution display- this is almost four times the resolution that can be found on standard HD displays. Currently, there are no Apple products that have this kind of high-quality resolution, but the introduction of these new chipsets might lay the groundwork for future display developments. Another report from the International Business Times had stated that Apple has already contacted Intel to provide them “ultra-high performance” versions of the Haswell processor. If true, this could mean that production of these new generation of MacBook Pros is currently underway. At the present, Apple still has not issued a statement verifying or denying these rumors. But pundits have pointed out that the release of a battery-efficient Haswell notebook will be in line with another popular and well awaited update, the OS X Mavericks. Currently in Beta, this OS X update was also announced at the same time as the Haswell MacBook Airs during this year’s Worldwide Developers Conference and is slated for release this Fall. Beta testers have reported that the OS X Mavericks have greatly improved the battery performance of MacBooks. It has a few prominent power saving features such as the App Nap, which automatically puts applications that are running in the background to sleep, and the Safari Power Saver which optimizes battery consumption when using the Safari web browser. With these specifications, it does make a lot of sense that the Haswell MacBook Pro and the OS X Mavericks will be publicly released at the same time. Like previous releases, the new MacBook Pros will probably come in both Retina and non-Retina versions, with 13-inch and 15-inch versions. For those who are currently looking to buy a MacBook Pro, it’s best to wait a few more months if the Haswell-powered iterations of this device will come into being. More specifications and features in details better described at Apple.